It is both an honor and a privilege to serve as Thompson Middle School's principal, especially during such exciting times! 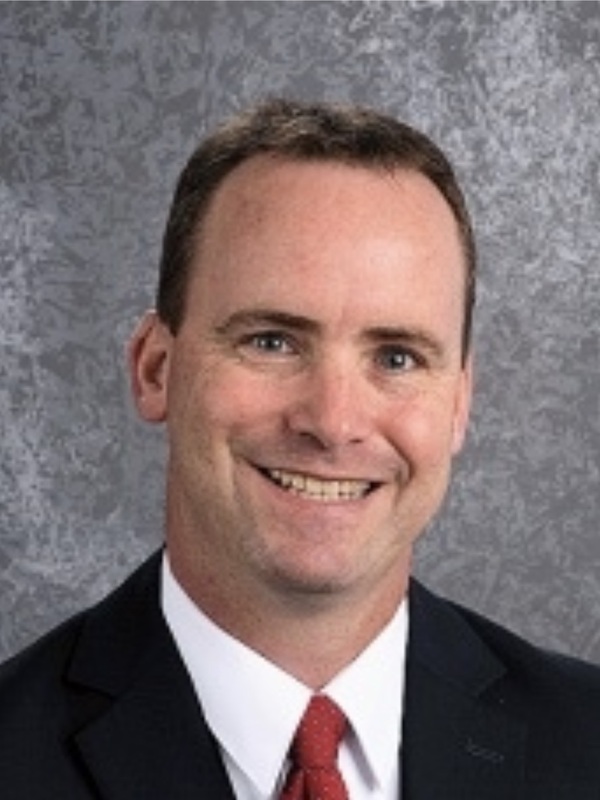 I have been a part of the St. Charles school community since 2000 and am proud to say that I am beginning my 29th year as an educator and my tenth as a principal in D303. During my time in St. Charles, I have served as the principal of both Thompson Middle School and at Wredling Middle School. My classroom teaching experience spans 16 years, working in three different school districts, including St. Charles. As your principal, I will work to create the best possible learning environment at Thompson. At the center of this environment are the kids. I will always have the best interest of all students in mind as decisions are made. A goal of mine is to constantly make progress and show improvement. I will be working to instill this goal in both students and staff. I am excited about the future of TMS. We have a dedicated, professional staff working hard to challenge students and help them find success. At Thompson, we will make the collective effort to create an environment most conducive for students to reach their greatest learning potential. Educating our children is a collective effort between the home and school. Fundamental in this partnership is communication. Please browse the TMS web site and familiarize yourself with our/your school. Do not hesitate to call if you have any questions. Our main office number (331) 228-3100. You can also contact individual staff members through our website. I am looking forward to working with the Thompson community to help support the best possible experience for our Thunder students! My name is Sarah Cann and I am a new Assistant Principal at Thompson! I am very much looking forward to the 2018-2019 school year, as I transition from teacher in the classroom to an administrator. I have been a middle school Language Arts teacher for 10 years (most recently in Geneva). I graduated with my Bachelors in Education degree from Northern Illinois University in 2007. Next, I finished my Master of Educational Technology degree (Technology Specialist endorsement) from Aurora University in 2014. Most recently, was my Master of Leadership degree (Principal Endorsement) in 2017. As you can see, I love to learn and I hope to pass on that passion to students and staff. In my free time, I love to spend time with my family and friends. I am an avid reader and runner! I try to sign up for as many races as I can throughout the year. My family consists of my husband, Brooks (high school sweetheart...awwww), my 8 year old daughter Cambria (Cami), and my 3 year old son/wild-child, Gunnar. They keep me on my toes (husband included) with school, sports, activities, clubs, etc. If there is any way I can assist you, feel free to contact me. My name is Mr. Shane Darnell and I am very excited to be an Assistant Principal at Thompson Middle School. I look forward to working with the staff, students, and parents of the Thompson community this year. I am a graduate of Old Dominion University, where I majored in Health and Physical Education. In 2009, I received my Master’s Degree in Educational Administration from Aurora University. In 2002 I began my teaching experience in Chesapeake, Virginia at Great Bridge Middle School. In 2005 my wife and I moved from Virginia to Yorkville, Illinois. I worked at Yorkville High School, teaching Driver Education, Physical Education, and I was the Head Wrestling Coach. In 2011 I became the Dean of Students at Yorkville Middle School. My wife, Tracy, and I have two boys. Kenton is our oldest son and Blake is our youngest son. If you have questions or comments feel free to contact me. Welcome to the 2018-2019 school year. I am excited to begin my eighth year at Thompson Middle School as an Assistant Principal. I joined the St. Charles District 303 learning community in 2001, this school year is my 21st year as an educator. I have had the privilege of working in special education, general education, gifted programming, curriculum development and administration. My teaching experiences have been focused at the middle school level and my graduate level educational experiences have been focused on curriculum and instruction. I believe that all members of Thompson need to feel that they are connected, contributing, and capable participants of our learning community. Middle school is an exciting time for students with many opportunities to explore new interests, make new friends, and grow as learners. Building positive, respectful relationships and making good decisions is an important part of learning for young adolescents. Working collaboratively with students, parents, the community, and staff we can ensure that each student is able to grow academically and socially in a supportive learning environment. Encouraging students to attain excellence, learn with passion, and live with integrity is the District mission, but also a daily focus of my work with students and staff. Keeping in mind what is best for students is at the heart of the work we do at Thompson. I look forward to a terrific year and the opportunity to get to know you and your student as together we strive to fulfill this mission every day. I am thrilled to start my 6th year as an Assistant Principal at the middle school. My passion for positive relationships and building connections drive my work with students, staff, and families. I am a graduate of Iowa State University, where I majored in Elementary Education with a Math specialization. In 2007, I received my Master’s Degree in Educational Administration from Concordia University. My educational experience began in St. Charles at Wild Rose Elementary School when I was nine. I then attended Haines Middle School and St. Charles East High School. St. Charles has been my home for all but one of my 16 years in education. At Corron Elementary, I taught both 4th and 5th grades before I moved to Haines Middle School as an Assistant Principal. My husband Eric and I have four adorable children. Our two oldest happen to both be named Addison.This year, I am the first time parent of a middle schooler! So, not only do I help your children navigate the life of 6th grade at school, but I am helping my own child navigate 6th grade at home. My nine year old is starting 4th grade. Her creativity is endless and helps keep our fridge covered in new artwork. Our Irish twins are now 4 and 3 and will both be in preschool this fall. My family keeps my life full of excitement, smiles and laughter!